According to nearly every online security expert on the planet, the best way to protect your digital privacy online is to utilize a password manager. So, as a Mac user, which one are you going to use? Let’s find out! Between the countless security breaches in the news and the prevailing concern about protecting your personal information online, having a weak password at this point is as embarrassing as it is unwise. Password managers not only prevent this all-too-common practice, but keep all your valuable credentials in a secure location, preventing you from enduring a stolen identity or other digital crises. 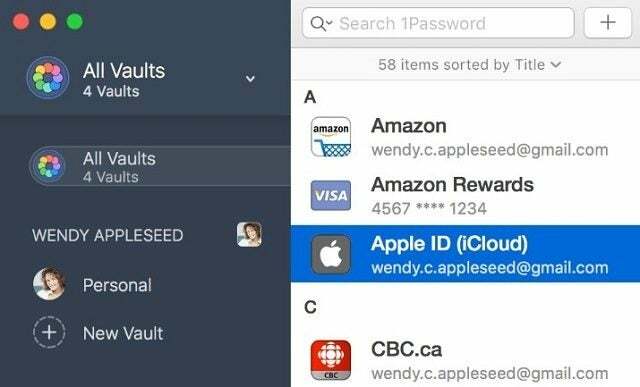 As a fan of Apple products, you’re likely to be aware of the tech company’s own password manager software, iCloud Keychain. However, due to this service’s limited functionality across other platforms and devices – as well as a few other notable flaws – picking up an outside password manager could make all the difference when it comes to protecting your privacy online. 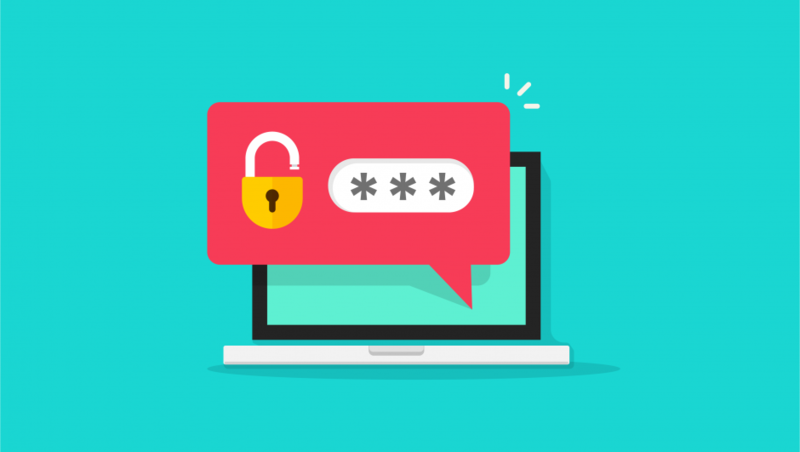 Fortunately, we’ve thoroughly researched some of the top password managers on the market to give you a better idea of what’s out there. Take a look at some of your best options below. 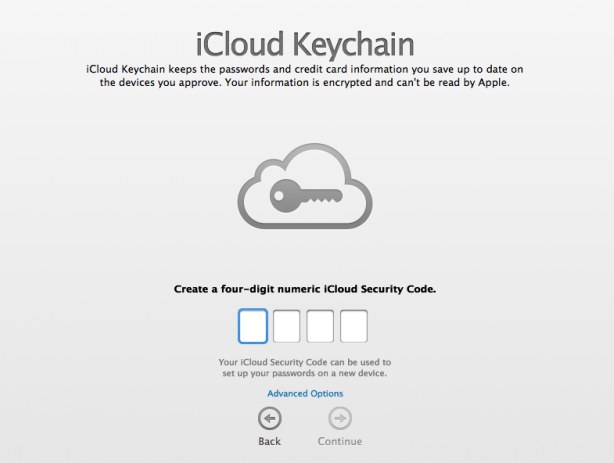 Should You Use iCloud KeyChain or a Password Manager? Protecting your online privacy is no easy task. There are plenty of malicious phishing scams, hackers, and other digital entities poised to steal your personal information from every corner of the internet. Luckily, these impressive password managers are equipped to secure your data from any would-be thief. And we know, because we tested them. Through our thorough research, we’ve found that 1Password is the Mac’s best password manager, mostly due to its ease of use, sleek design, and affordable price tag. For a closer look at how these password managers stack up against each other, read on to learn more about price points, features, and our specific reviews. If you’re an iPhone or Mac user, you’re probably used to simply relying on the services and platforms provided by Apple. However, while Apple’s password manager, iCloud Keychain, is certainly good enough to get the job done, there are a few caveats that might make the service less than ideal for your online security needs. For one, iCloud Keychain works exclusively on Apple devices. Yes, iPads, iPhones, and Macs will all be set up to keep track of your many passwords. However, if you have to use a PC for work, or simply decide to switch from iOS to Android at some point in the future, you’re going to be out of luck. In addition to the lack of device interoperability, iCloud Keychain also only works on Safari. That means if you use Chrome, you’re going to have to find another option, which is particularly troubling as Google’s browser is four times more popular than every other rival browser. We’ve said it before, and we’ll say it again: 1Password is simply the best password manager available on the market today. With a rock solid platform that’s easy to use, a stellar support team that can answer and solve all your technical woes, and a price that won’t make your skin crawl, 1Password just works well enough to make you excited about online security. Using a stored password is simple. Just navigate to a desired site’s login page on your Mac, click the icon or extension, and you’ll immediately be directed to your account. Seriously, that’s it! In addition to this incredible ease of use, 1Password allows you to keep more than your passwords safe: With multiple vaults and identity options, you can store and encrypt passport, driver’s license, and social security numbers, turning your Mac into a secured vault of valuable information. 1Password works well, and looks good too. The stylishly simple design is far from an eyesore, and you’ll be able to navigate through the many different features without giving yourself a headache. Unfortunately, 1Password is one of the few password managers on the list that doesn’t come with an ongoing free version, but it does offer a 30-day free trial to get you started. The least expensive payment option is $36 per year for individuals, with a five-person “Family” option for $60 per year. If you’re looking for business plans, which come with features like shared storage and admin settings, you’ll find them for $3.99 or $7.99 per user per month. 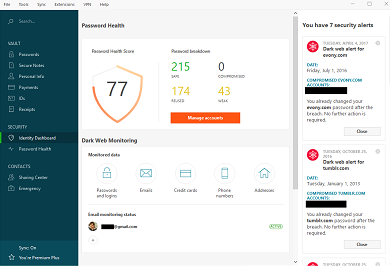 If you’re looking for a heavy duty password manager that can do it all, Dashlane is your best bet. For one, this robust password manager brings a massive catalog of features to the table, including unlimited password sharing and emergency contacts. Dashlane also helps users generate strong passwords, guaranteeing your account will be secure. While all these additional features are nice, they do come at a price, and it’s a high one. Dashlane is far and away the most expensive password manager out there, coming it at nearly double the cost of other options. However, if you’re serious about online security for your Mac and believe these added features will help, Dashlane is definitely worth looking into. Like 1Password, Dashlane’s functionality is quite intuitive. Just open up a site’s login page, and you’ll see the Dashlane icon available in the field window. Click the button, and voila – you have secure access to your account. As far as those high prices are concerned, Dashlane’s individual pricing plans will run you $60 per year, which includes a free VPN. There is a free tier that users can take advantage of that can be used on only one device, and is without cloud backup. Business options will run you $48 per user per year, but you won’t have access to that free VPN. There’s something to be said for a password manager that foregoes all the frills and features in favor of a strong, secure platform, and that’s why LastPass makes this list. It may not have the design flair of 1Password or the features of Dashlane, but it’ll keep your personal information safe and secure no matter where you log in. 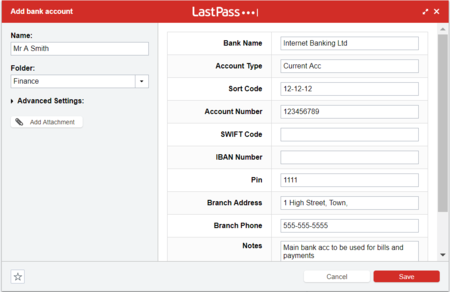 Accessing your accounts is just as easy with LastPass as with the other password managers. Once you’re logged in, all you have to do is visit a site with which you have an account, and LastPass will either auto fill them for you or make them available to enter yourself. While LastPass is missing a few premium features, it does provide users with a password generator tool that can create strong, unique passwords to ensure a high level of security. Just click the “Auto-Change Password” button in your vault, and you’ll have a brand new password ready to go. Connection issues have caused the occasional lost password, which is never ideal in any situation, but these instances have been few and far between. Additionally, LastPass’ customer support team is far from perfect, leaving newbies to fend for themselves when they get stuck. As far as price goes, LastPass is pretty generous, coming in at at a mere $36 per year for individuals and $48 per year for a six-account group plan. You’ll also be able to utilize the free version for as long as you like to get a feel for it, and it’s pretty robust if you’re looking to save a bit of money. 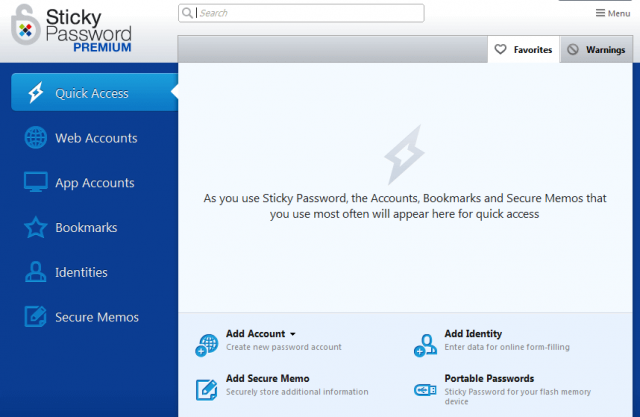 Sticky Password is certainly not the best password manager on our list. But if you’re looking for an inexpensive password manager that keep your personal information secure without relying on your memory, you may have found what you’re looking for. You won’t be treated to a lot of fancy features, but you’ll have access to a security dashboard that will keep track of your accounts, as well as your password strength. The true benefit of Sticky Password is the customizability. You’ll have complete control over a number of settings, like where auto-syncs go to (the cloud or Dropbox, to name a few options). Sticky Password does offer a free option that supports only one device, while its premium individual package will cost you $30 per year – the lowest rate on this list. Uniquely, Sticky Password also offers a one-time lifetime payment option of $120, which will keep your Mac, and any other device your may wish to connect, secure for as long as you need. Are 2018’s Top 10 Fastest Growing Online Jobs the Future of Work? Freelancer.com has collated data from its nearly 2 million job postings to reveal the fastest growing online jobs over the past year. Content and writing, blockchain and e-commerce-related jobs were among the fastest growing remote jobs of 2018.